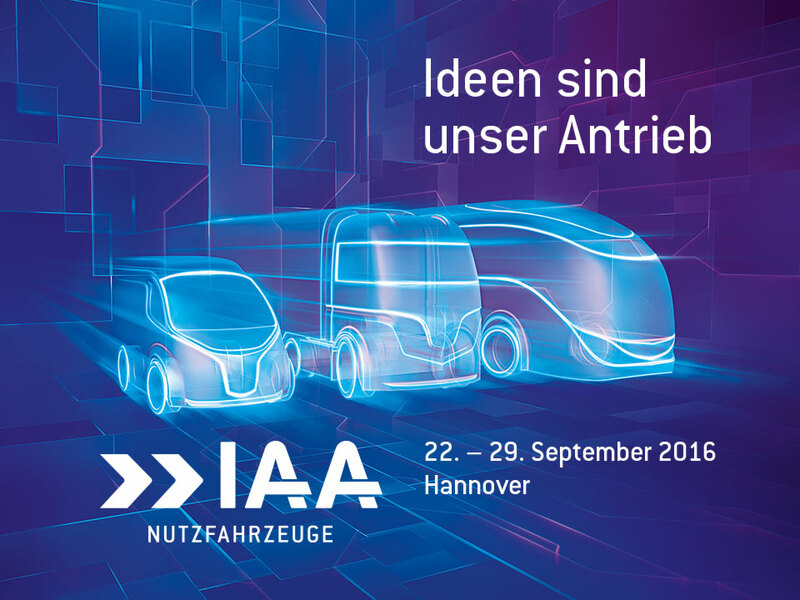 Next week, from September 22 to September 29, 2016 Veth is represented at the IAA in Hannover. At the Volkswagen stand we present our extended Volkswagen Amarok XXL. The Volkswagen Amarok XXL has been extended by 650 mm and is equipped with a PU coating. This makes it possible to use an fully off-road vehicle also for many special applications. 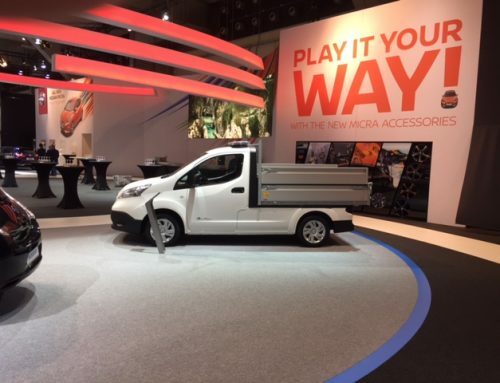 Some examples for conversions are campervans, rescue vehicles, dust sweepers and tippers. 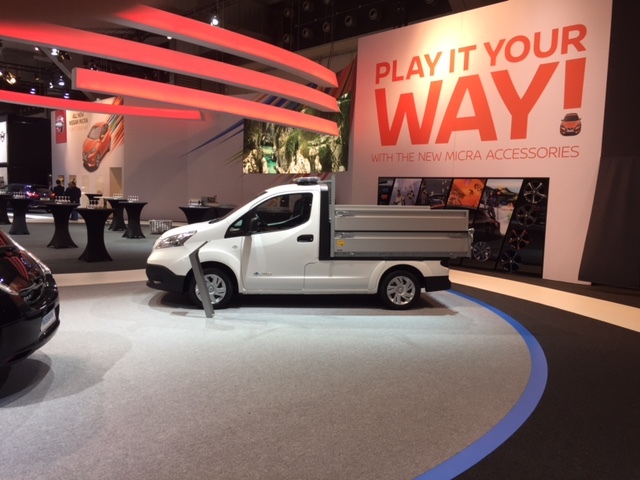 In addition, we have a stand at the IAA in co-operation with TTI Partners B.V.. 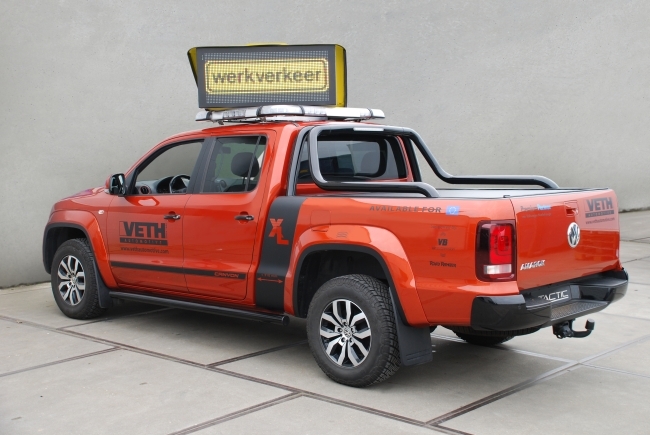 Here we presented our extended Volkswagen Amarok XL included TACTIC. The TACTIC is a mobile, variable traffic information system which consists of an information display combined with an integrated optical signaling. For more information about the TACTIC click here. We hope to see you at the Volkswagen stand in hall 12 and at our stand in collaboration with TTI Partners in hall 23, booth C28.